First and foremost if you think you need help to stop drinking alcohol let your doctor know! 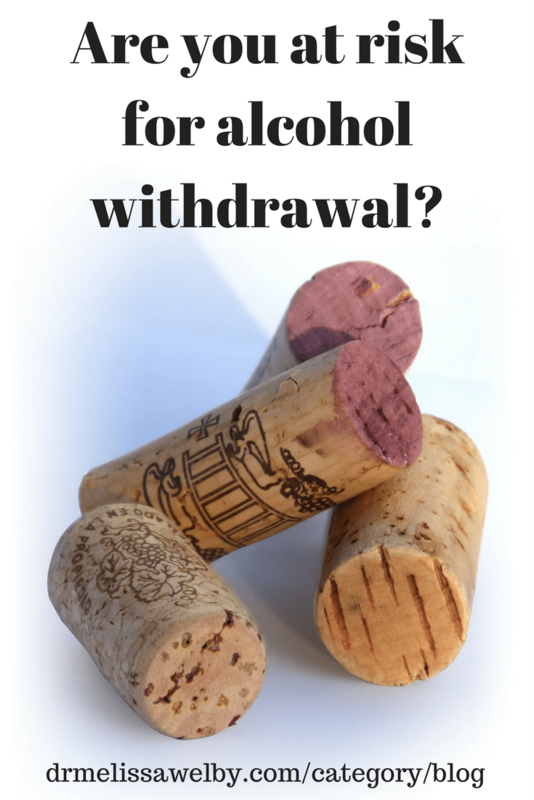 Withdrawal can be deadly and you want to make sure to detox correctly. Your physician can help you determine your risks and recommend whether inpatient or outpatient treatment is necessary. An individualized treatment plan combined with the right support can increase your chance to successfully and safely stop drinking. The information in this post is not to be used in place of your doctor’s opinion and advice so go get yourself help! Do you qualify for a diagnosis of Alcohol Use Disorder? Check out my post on criteria for alcohol use disorder to see if you qualify. If you do, this 20 question survey can help define if you are dependent on alcohol and at risk of experiencing withdrawal: http://www.drinksafely.soton.ac.uk/SADQ/SADQQuiz/?. 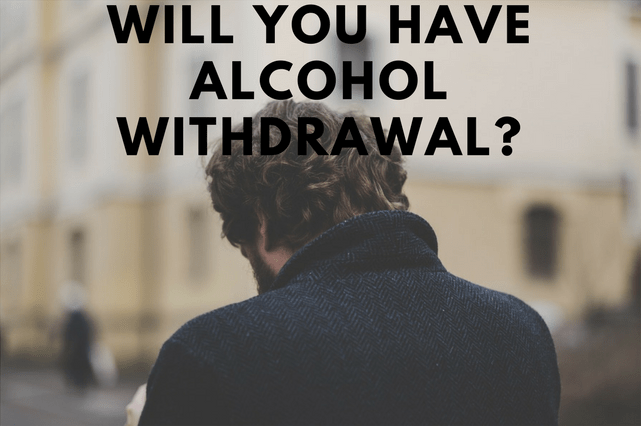 Alcohol withdrawal can happen when a person who is alcohol dependent stops drinking or drinks significantly less. It usually starts within hours of the alcohol level markedly decreasing. 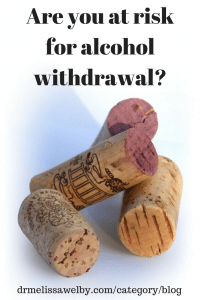 Withdrawal varies in duration and severity and can clear within hours or take up to 2 weeks. The more episodes of withdrawal a person has the more severe future withdrawals will be. Many patients who develop alcohol-related seizures have an increased number of previous detoxes. Possibly withdrawal symptoms: increased blood pressure and pulse, tremor, sweating, elevated temperature, nausea, vomiting, anxiety, agitation, insomnia, irritability, impaired memory and judgement, hallucinations, delirium, seizures. Alcohol withdrawal is nearly always associated with a depressed mood. Delirium Tremens (DT’s) is a severe and potentially life-threatening condition that usually starts 48-72 hours after the last drink. It happens in 3-5% of people with withdrawal. People are usually hyper-alert, hyperactive, agitated, disorientated, have a tremor, fever, changes in blood pressure and pulse, perceptual distortions, and hallucinations. Visual hallucinations happen more in DT’s but hallucinations, in general, can happen both in withdrawal or DT’s. DT’s require intensive medication management to treat. Even with treatment, the mortality rate is 5-10%. 80% of cases resolve within 72 hours. Treatment is available to help with alcohol withdrawal and will increase the chance of getting off alcohol safely. Benzodiazepines (such as Ativan, Serax, Librium, and Valium) are the main medicines used to treat withdrawal and should be started at the onset of symptoms. They reduce the severity of withdrawal and decrease the incidence of seizures and Delirium Tremens. People withdrawing from alcohol are sometimes prescribed benzodiazepines as an outpatient or they are used for inpatient detox. 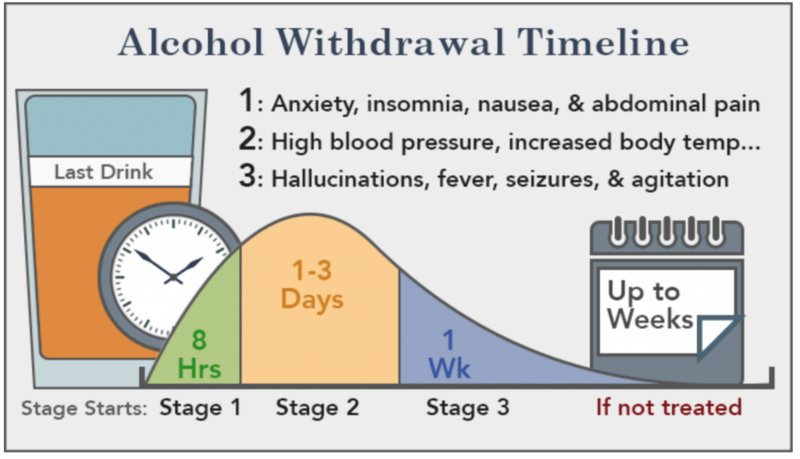 Inpatient alcohol detoxification is necessary for people with fever, seizures, inability to eat or drink, medical illness, agitation, hallucinations, poor judgement, history of severe withdrawal, poor social supports, and poor compliance. Again- this is worth repeating- let your doctor know if you think you need help to stop drinking. Get an individualized treatment plan and the right support so that you can successfully and safely stop drinking. Most people undergoing alcohol detox do not require hospitalization, but in severe cases, hospitalization may be necessary.